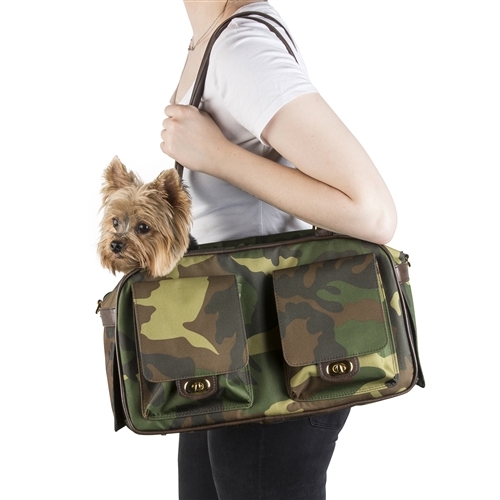 Camouflage Marlee Bag - Brand new from Petote! 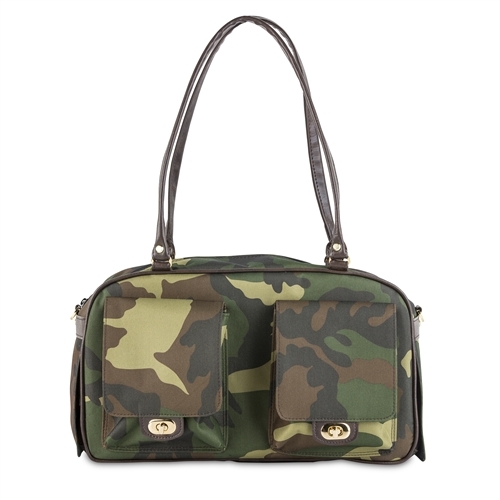 Our best selling Marlee Bag has been updated with chic camouflage fabric and gold tone hardware. 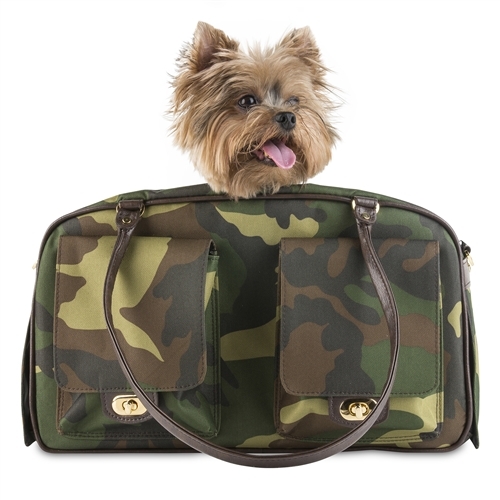 Right on trend, this chic dog carrier will look oh so stylish wherever you go. 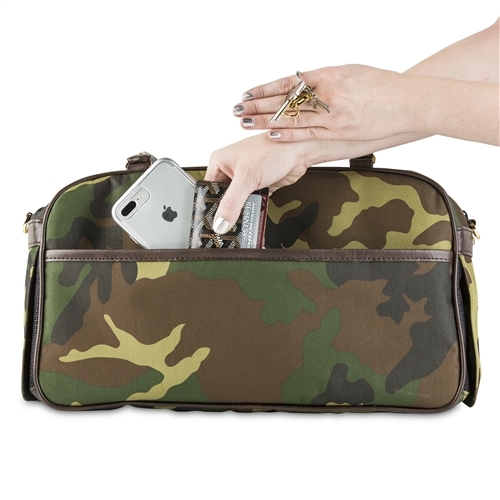 The Camo Marlee Bag looks just like a designer handbag and is also the perfect sneak bag. Because the Marlee bag has flaps on both ends that roll up and down, this is a great bag to use when you want to sneak your dog into stores, restaurants, or any place you go! Now you can take your dog anywhere and everywhere with you! Petote Marlee Bag is also airline approved! Camo Marlee Bag is available in one size only. Airline Approved and Made In the USA!